The ‘Pigs went into the All Star Break with a 2-1 series win in P’tucket. Following the time off (except Tyler Henson, who went to Omaha to win the game for the International League) they reported to Rochester, where they split a four-game set, 2-2. Now they’re home for 12 of the next 14 days! That’ll set the tone for the rest of the season perhaps, with only 12 more home games left in the entire season once this two weeks has been completed. The 2-2 split didn’t do too much to alter the standings after the break, but the success they had prior to the break and the fact that they didn’t fall further behind the first-place RedWings, is still something. But, if they’re gonna make a move, it will have to be against IL-North opponents, and they’ve been doing well of late. From the “arbitrary starting point” department, I have the ‘Pigs winning 13 of their last 18 and 17 of their last 25 versus the North. In the attendance department, the ‘Pigs have now dropped to fourth in the IL in average attendance. Let’s go folks, time to get out to some games! Charlotte, Columbus and Indy all lead us at this juncture. OF Aaron Altherr has hit in 10 of his last 12 games, including a game-winning HR Saturday evening in Rochester. C Logan Moore has hit in 8 of his last 11 games, including a HR and a double. 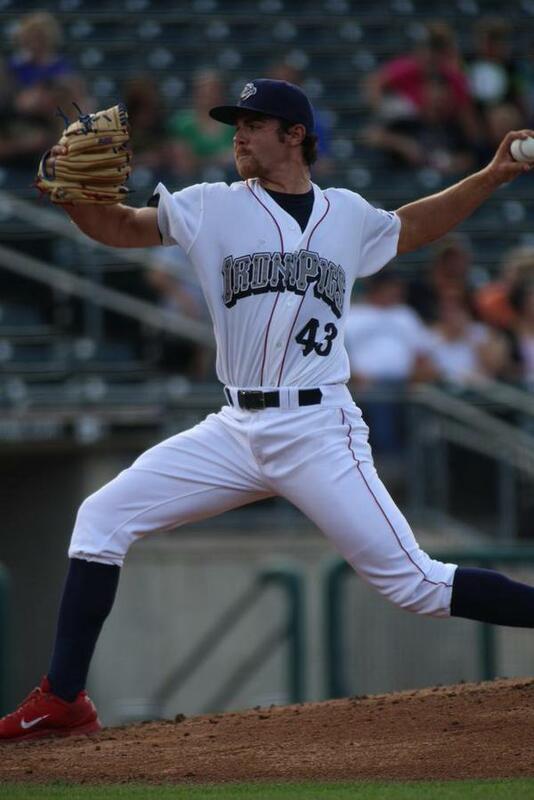 LHP Adam Loewen now has 7 saves and has been unscored upon in 15 of his last 16 games. Since returning from Reading on 6/16, he’s had 32K in 19 1/3 innings, against just 5 BB. RHP Nefi Ogando has not allowed a run in his last 9 games between Reading and Lehigh Valley. Who Else? d’Arnaud, Phelps, McGuiness, and Danks have all been playing well, as had catcher Gabe Lino. LHP Jesse Biddle was light’s out in his most recent start, and Sev Gonzalez had a good outing going today before it fell apart. We’ve had some stuff up recently. You know about Kratz coming back. Forsythe has been let go. Duran is on the DL with a broken toe. Lohman has been called up to take his place. Nola will go to Philly soon to make Tuesday night’s start. Hinojosa has been claimed from the Red Sox to work out of our pen. Hood signed on to play CF in Reading, with Heid let go. I’m anticipating a couple more moves prior to the game tomorrow, though, so I’ll try to have a formal “roster” post up prior to the game, with printable and all that. Stay tuned. Keep in mind, Billingsley’s elbow hurts in Philly. Nola needs to be added to the Phillies’ roster. No one knows where Correia is. 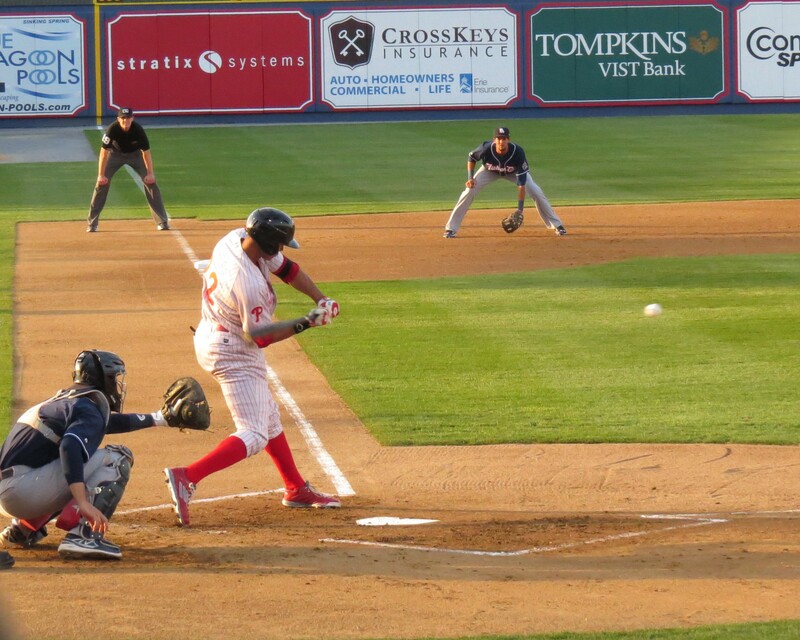 Jerome Williams and Aaron Harang could be ready for some AAA rehab action. The trade deadline is approaching. We’ll update as information comes through. We’re going to have some heat, and with that the threat of thundershowers. However, overall, it looks like a clear home stand all the way through, at this juncture. Thursday: Pre-game happy hour 5-6. National Hot Dog Day. $1 Hot Dogs all night. IronHeads Day. Saturday: 6:35PM start. Kiddo replica jerseys. Elf jersey auction w/ Xmas in July. Post-game concert/party. Sunday: 1:35PM start. Phanatic appearance. Possible post-game “Nation” tailgate in Joe’s Corner–news to come, including a special guest? The Toledo Mud Hens are the AAA affiliate of the Detroit Tigers. As per usual, this is their only appearance at Coca Cola Park this season. They’ll be here for four games, then the ‘Pigs will visit them for four games from August 3-6–one of the only times since the advent of the “unbalanced scheduling” that we’ll have four and four with an out-of-division foe. Big OF Steven Moya is a top prospect. RHP Buck Farmer was the preseason #3 prospect, and will likely pitch against us on Thursday. Slugger Mike Hessman always kills us. 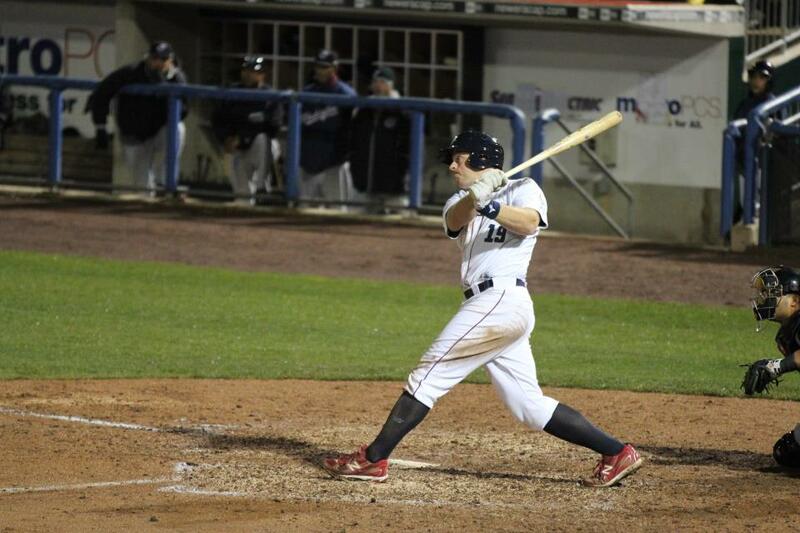 OF Tyler Collins is a top 10 prospect. 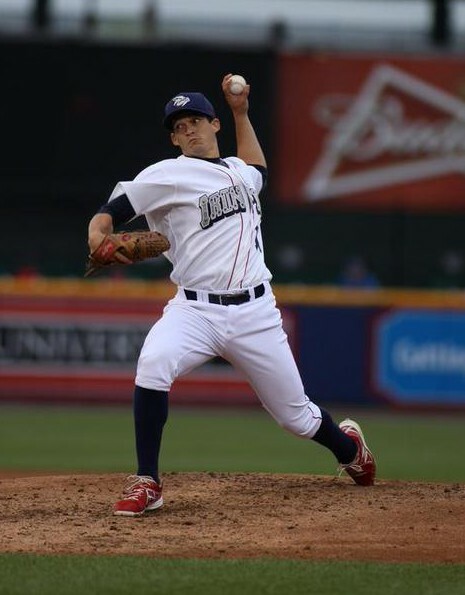 And, RHP Josh Zeid is a former Phillies’ farm hand who made it as far as Reading, then went to the Astros organization and made it to the majors in 2013 and 2014. He’s got a 4.78 ERA in 29 games out of the pen for Toledo this season. As you can see from the standings above, the Mud Hens are in last place and are not playing terribly good ball. Hopefully we can take advantage and not take them lightly. I’ve seen this show before. Then, Syracuse comes back to town for three. We haven’t seen them since three up there in May, and three here in Allentown in the opening home stand of the season. They’ve been just dreadful, though, most of the time, keeping the ‘Pigs from ever really staying in last place for long. However, they’re playing some better ball right now–of course just in time to ruin our party. Of course, they’ve got ex-IronPigs Steven Lerud, Tony Gwynn Jr,Chris Nelson, and Darin Mastroianni and even PJ Walters around to help out. By way of prospects, they have RHP AJ Cole, SS Trea Turner, and RHP Joe Ross. After the game on Sunday, the ‘Pigs will relax at home and head up the turnpike to Moosic Monday morning for two games early NEXT week. They’ll be back home before you know it for a five-game stand which will start with two more with Scranton and three with Norfolk. That will close out this two-week stretch. We’ll make smaller updates along the way–rosters and the like–before an IronRail preview of the home and home with Scranton, and then a small preview of the 2015 visit by Norfolk.